Ten states encompassing more than half the US population, will now have access to legal recreational marijuana. Canada went legal this year and Israel continues to expand its medical marijuana research. What’s next? Entrepreneurs in the industry cite new ways to invest, better testing and the continued explosion of CBD products as some of the biggest trends. Still, the industry is fundamentally selling a product that is federally illegal, so the biggest question on everyone’s mind is : will cannabis be taken off the Schedule 1 drug list? 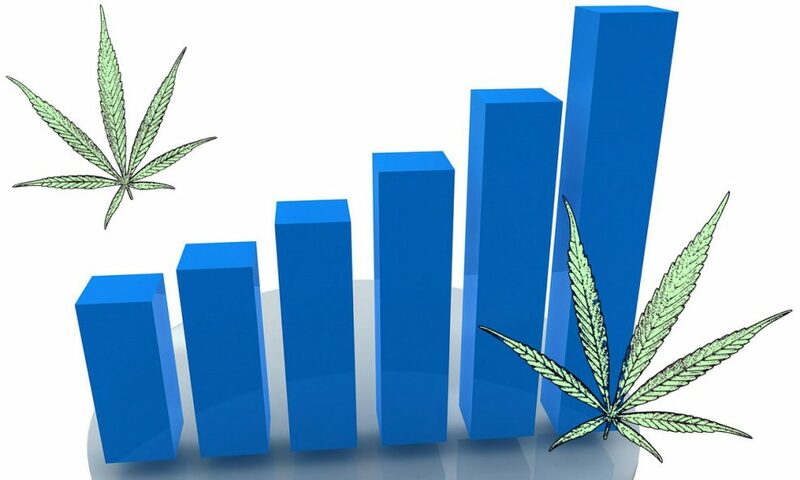 The level of investment interest in the cannabis industry soared in 2018, said Tom Zuber, managing partner of the law firm, Zuber Lawler & Del Duca LLP, and he expects that to continue. “We see a year of increased M&A and consolidation activity ahead for the U.S. cannabis market,” said Zuber. To prepare, sophisticated cannabis companies are pursuing IP protection strategies and making sure accounting records are pristine, he said, to make them more attractive targets for acquisition. George Archos, chief executive, of Verano Holdings said U.S. cannabis companies listing on Canadian stock exchanges was the most important trend for 2018. It’s difficult for US-based cannabis companies to access traditional capital due to federal government banking restrictions, so access to Canadian exchanges enabled those companies to fund investment. Verano Holdings plans to be listed on the Canadian Stock Exchange in 2019. Khurram Malik, chief executive of Biome Grow, a licensed cannabis producer in Canada, says 2019 will be the year where cannabis growing goes from theory to reality in his country. Farms will race to scale up and efficiently grow high quality crops but distribution deals could be as important as square footage, he said. Bethany Gomez, director of research at Brightfield Group named the explosion of CBD products on the market as one of the year’s biggest trends. “You can’t turn around without hearing about or seeing CBD – on the shelves of thousands of retailers nationwide, on the pages of mainstream publications like the Wall Street Journal and Vogue, celebrity Instagram feeds… and among the medical community.” she said. Innovation in the space is taking off with CBD being added into beauty, pet, skin care, drinks, and fitness products she said. The Brightfield Group which was founded in 2015 in Chicago, is a CBD and cannabis-focused market research firm focusing on consumer, brand, and market information. Gomez predicts that in 2019 even tobacco companies could enter the industry. “We predict we will start to see that hockey stick of growth in CBD as it explodes into the mainstream.” she said. Alex Wasyl, chief executive, Nexien BioPharma hopes cannabis will come off the list of Schedule 1 substances on 2019 so it can be “developed, studied, approved, regulated, and prescribed like any other true medicine.” His company which was founded in 2017 in Colorado is a pharmaceutical firm engaged in the formulation, development, and commercialization of cannabinoid-based medications. In the meantime, businesses will wait to see what the latest Farm Bill and Jeff Sessions’ replacement as Attorney General will bring. In the US, states will continue to debate where taxes go. A Colorado state report showed that marijuana sales generated $247 million in tax revenue. The New York State health department estimated that legalizing cannabis in that state could generate $670 million in taxes each year. There is talk in that state of using the funds to fix New York City subways.